It’s Time to Make Bread! People are rioting in the streets, bombs are falling on innocents, we get daily reports of torture and massive human suffering. What can we do? Bread is the oldest symbol of what it means for human hands to create things rather than destroy them. 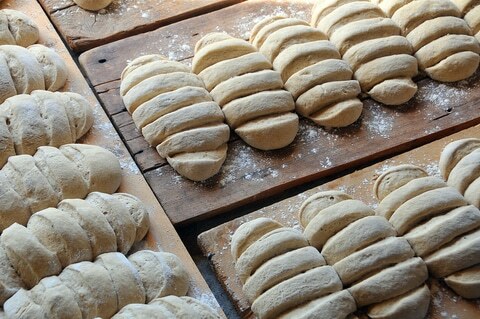 When you make bread, you realize the dream of how human action can exceed and even defy the sum of its parts. Bread feeds rather than destroys, delights instead of demoralizes, reveals the new rather than wallows in the old.